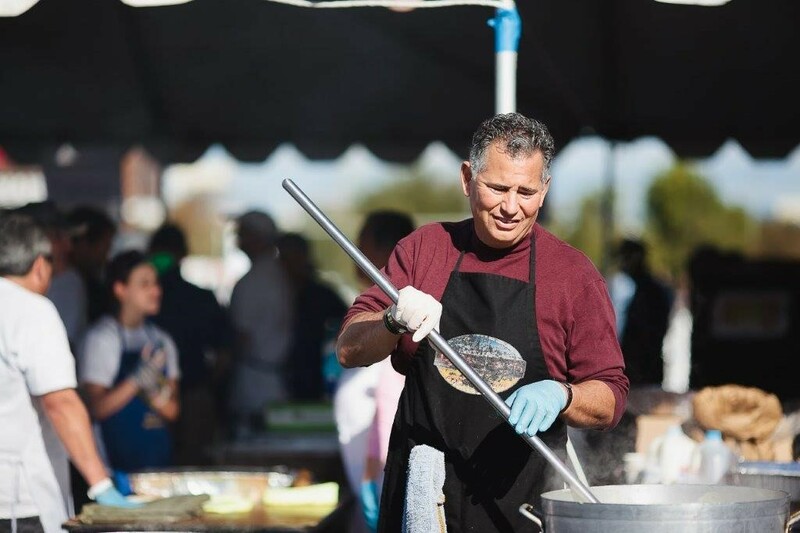 The We Give Thanks community mourns the loss and celebrates the life of one of its long-time volunteers, Ron Sandoval. Ron was born on July 18, 1956 in Santa Fe Springs, California. Being raised by Nancy and Lorenzo Sandoval, a longtime educator and former Mayor, gave him a solid foundation early on and Ron was blessed to be married to his high school sweetheart Liisa, for 35 years. Ron was a devoted husband and provider for his family. Ron worked for 30 years as a purchaser at Newport Corporation, but his true passion and purpose in life was to love and serve others. Community service ran in Ron’s veins. His ministry started when he became a Christian at 26-years-old. Since that time, he devoted himself to the service of raising his three children Johannes, Gracelynn, and Levi, as well as reaching out to help others in his community. Both Ron’s huge heart and passion for volunteerism stemmed from his commitment to community service organizations. We Give Thanks and Armor of Light were two beneficiaries of Ron’s service to which he devoted countless hours for many years. Most recently, Ron served as the mashed potatoes kitchen lead for We Give Thanks, helping feed tens of thousands of meals to those in need on Thanksgiving Day. As a true native Californian, Ron found great peace communing with nature while bodyboarding at the beach and fishing in the mountains. Ron’s ability to make every encounter personal and make everyone feel special reflects in the magnitude of his reach. Ron passed away on August 10, 2018, but his legacy will continue to live on through the lives he touched and the relationships he built. The entire organization will miss Ron’s physical presence, but his passion lives on. Ron, we will miss you and will remember you and the work you did to make the world a better place.